Why Use Professional PCB Board Design Services? Customers in need of printed circuit boards should take help of professional PCB layout and design services. There are many companies that offer services in this sector. The advantage of using a professional PCB board design service is that the project meets highest quality standards. There is no cost overrun and the development cycle remains within the time limit. 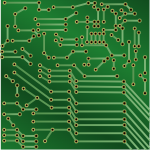 The designing of the circuit board is done using the latest circuit designing and simulation technologies. It ensures the most efficient circuit design. It is always better to use a custom PCB design service. Each electronic project is different and requires a different circuit board. The design must be first evaluated carefully by the electrical and electronics engineers. Companies that do not have such professionals should hire a PCB design service company. It employs all types of professionals including the PCB layout designers, electrical engineers and electronics engineers. This team devises the best suitable and most efficient paths for the circuit. All electrical and electronic parts that customer intends to incorporate in the board are taken into consideration when the PCB layout and paths are designed. This service can be used even to improve an existing PCB design developed by the in-house team of the customer. The process starts with the schematic capture. The component footprints are assessed and established. The PCB design is done using software programs specially designed for the designing of PCBs. These programs can perform different types of simulations as well. It eliminates a large number of conflicts and issues related to the electrical and electronics. A business can use only the PCB design service or order PCB manufacturing as well. Most PCB manufacturers offer PCB designing service. They have an in-house team for this purpose. Using both PCB designing and PCB manufacturing services of the same company ensures a lower project cost. The PCB design engineers take into account impedance, radio frequency, microwave, density, mixed dielectrics, heat, EMI, signals and other things that affect the operation, performance and efficiency of an electronic circuit. The goal is to design the PCB in such a way that there is minimum use of materials and components. The PCB is kept as small as possible. The designers take into account all other components and parts that will be connected to the PCB. The board must draw minimum power and have efficient heat sinking feature. There should not be any undesired electrical, magnetic and signal interference. A PCB carries lots of sensitive electronic parts. Failure of even one part can stop the final device from operating properly. A PCB requires lots of testing before it is given the go-ahead for final manufacturing. Experienced PCB board design service companies help avoid technical problems that can cause the device to fail and even result in massive product recalls. If you intend to vape as a replacement for smoking real tobacco cigarettes, you’re going to need the absolute best vaping batteries. Choosing a good battery a key part of ensuring that a mod works well. Although the health benefits of vaping are still debatable, this has proven to be one of the most effective cessation strategies around. Moreover, many people who’ve managed to quit smoking this way report a number impressive improvements in their overall life qualities and well-being. These include smelling better, being able to taste their food more fully, and spending less cash among many other things. To help you enjoy these same benefits, following are a few tips about choosing batteries and crafting the ultimate vaping experience. The best vaping mods on the market tend to have the highest performing batteries. That’s because they’re made by manufacturers who know what consumers want. If you are trying to avoid the temptation to light up, you want your mod to be powered up and ready to go, no matter where you are. A low-quality mod won’t last long. With a battery that isn’t able to retain its charge for any extended period of time, you could find yourself out in the middle of nowhere, with no feasible strategy for keeping your cravings at bay. Before you know it, you might find yourself breaking down and buying a pack of smokes, or simply bumming a single smoke from someone nearby. In this way, having a reliable mod is key for staying on the proverbial wagon. While you shouldn’t pay a ton of cash for your very first mod, you do want to spend enough to ensure that it’s been well-made. Try looking in the clearance sections that vaping suppliers maintain. High-end mods can be found here if they are soon to be replaced by upgraded models. Best of all, you can get these at an incredibly low cost. No matter where or how you buy your mod, however, you want to make sure that battery life is a key selling feature. There are a number factors that determine just how well a battery is capable of working. One thing is battery life, or the amount of time that you’ll be able to use your device at an acceptable capacity, after it has been fully charged. Units that last between five and seven hours are ideal given that there’s no need to remain by a viable power source in order to keep the unit charged up. You should also make sure that different designs are not prone to overheating. Units that overheat regularly tend to have a much higher risk of combustion or explosion.